Well this is different — it looks like we get more than one Overwatch comic with the introduction of the new hero Ana Amari. Ana: Old Soldiers picks up years after Legacy left off, after Jack Morrison and Gabriel Reyes died and Overwatch was disbanded. 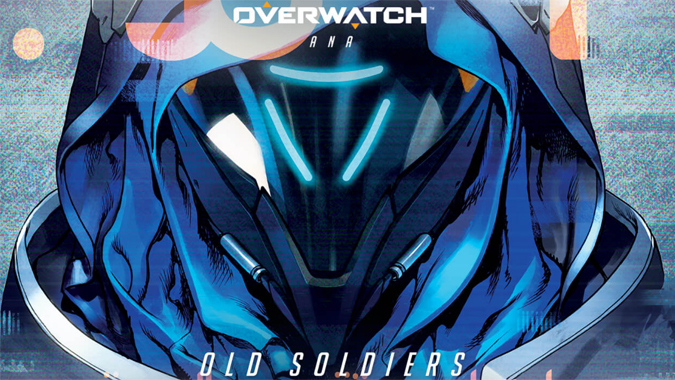 Written by Michael Chu and illustrated by Bengal, Old Soldiers isn’t really an origin story so much as it is a reunion of familiar faces, and not the kind Winston was likely hoping for in the Recall animated short. Far more interesting however is that the comic contains a mention of the elusive Sombra, the as-yet undiscovered hero who we’ve seen hints of in and around Dorado. Two things are made very clear here: First, Ana isn’t Sombra — any lingering doubts as to whether the two are one and the same can be dismissed. Second and perhaps more importantly — Sombra does in fact appear to be working for, or with, Reaper. The fact that we’re seeing more and more information about the character feels like we’re going to get another hero reveal sometime soon, but we’ll have to wait and see on that. Looking for more Overwatch lore? Check out our roundup of everything related to the lore and story of Overwatch.